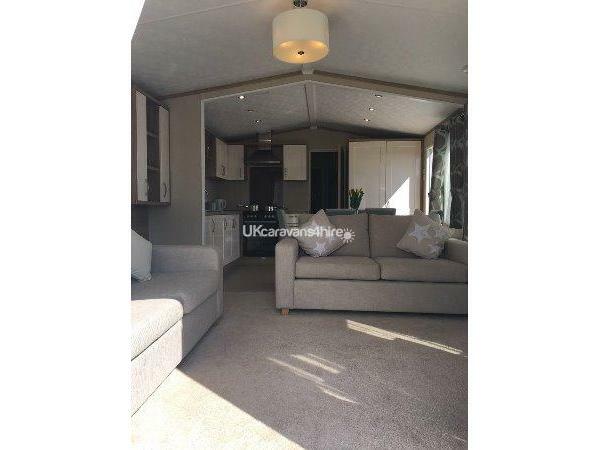 Additional Info: Our Caravan also has an en-suite, free-view TV, electric fire, Hairdryer and bluetooth speaker. £50 deposit secures your date, £100 security deposit required 1 week before the holiday and is returned within 7 days after your holiday as long as there are no breakages or damages. 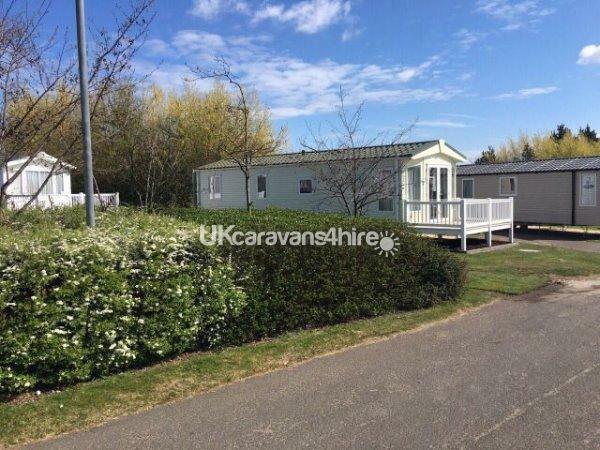 Our Beautiful Caravan is a Top of the range 3 Bed Marlow and is located on the Caister on Sea Haven Holiday park and is graded as a Platinum Grade. INC PASSES FOR UP TO 2 ADULTS AND 3 CHILDREN!! 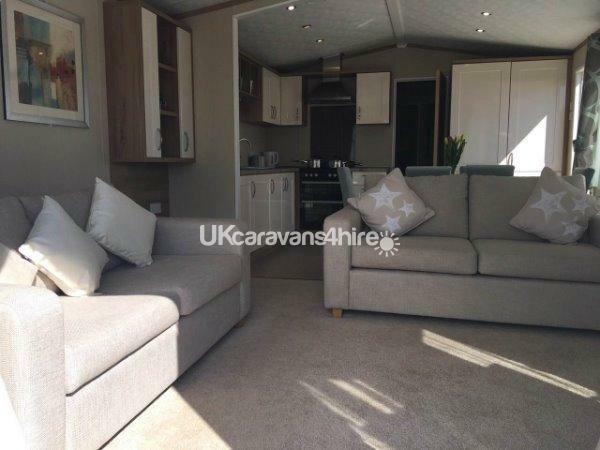 ** Please note you do not get this spec of caravan when hiring through Haven!! 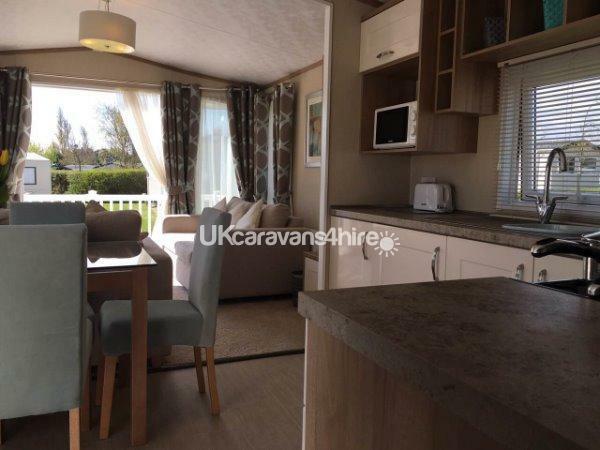 Our caravan is open plan and feels so spacious and has luxury fixtures and fittings. In the lounge there are patio doors with a 6ft veranda which is south facing where the sun shines on it all day for you to sit in the sun and relax on the hairs that are on the balcony, Contemporary free standing furniture in the lounge, Bluetooth speaker to listen to all your favourite music, 40inch LED TV with Freeview, DVD player, Dining and kitchen area seating 6. 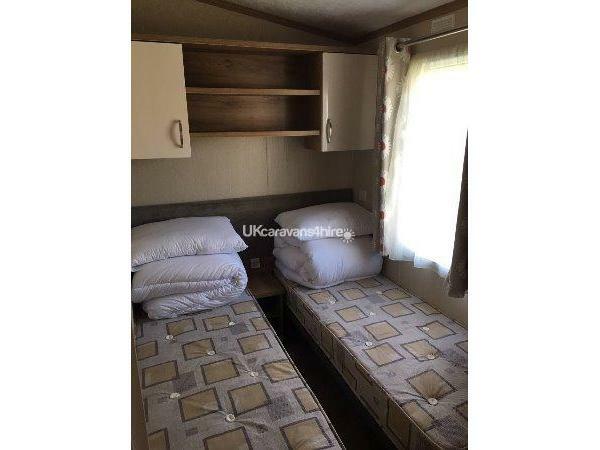 The master bedroom has a full size double bed, bed side tables, dressing table and seat, wardrobe, Hairdryer and an En-Suite. 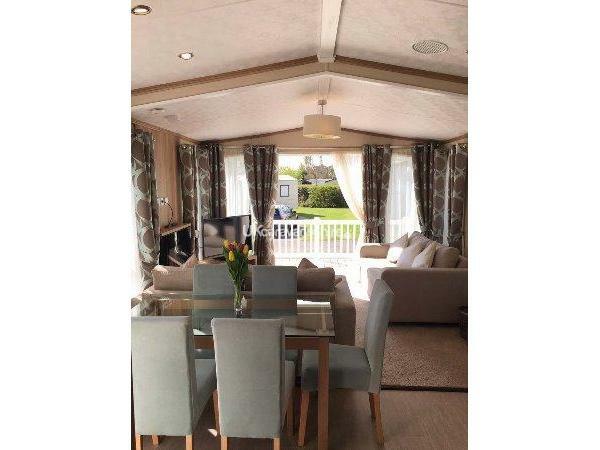 ** Please note when Haven hire Platinum graded caravans they are not the spec of this caravan they are very standard compared to this!! 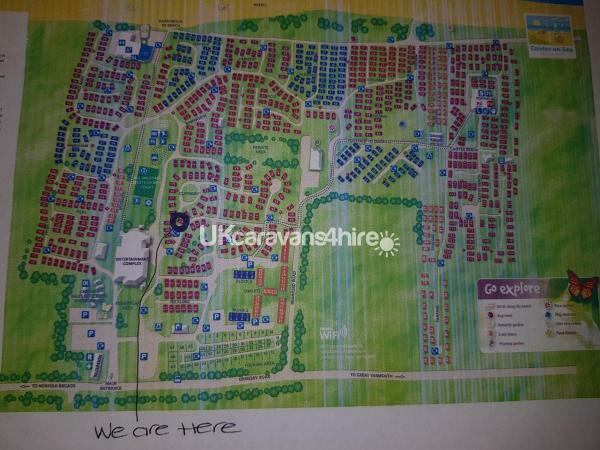 ** You will not get this standard of caravan through Haven! 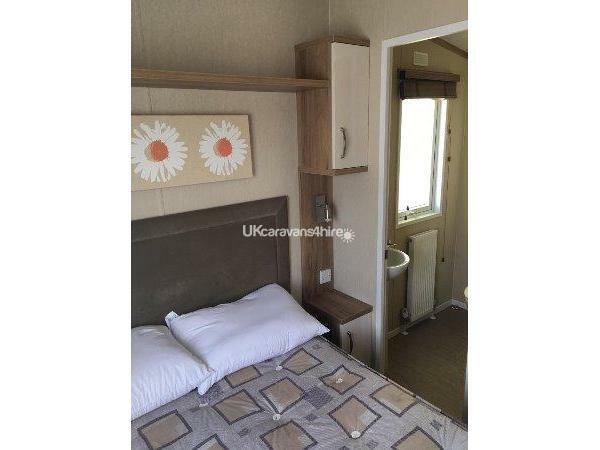 The twin room has a bedside cabinet, wardrobes and over bed storage cupboards. 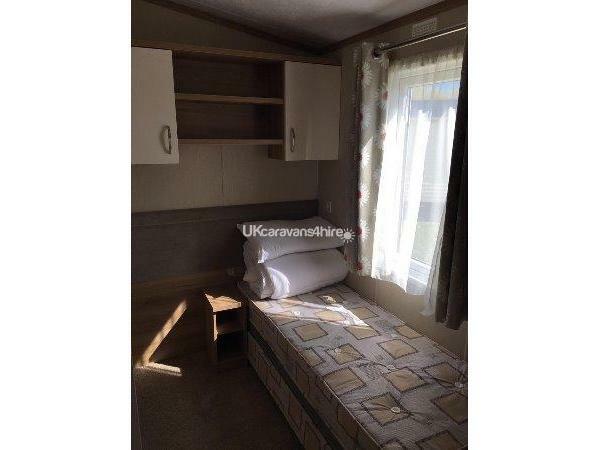 The second twin room has a single bed with another single bed stored underneath giving you that little bit more room for the older child/adult to move around or you can pull out the other bed to make another single or a double! The bathroom has a shower, sink, toilet and storage unit. 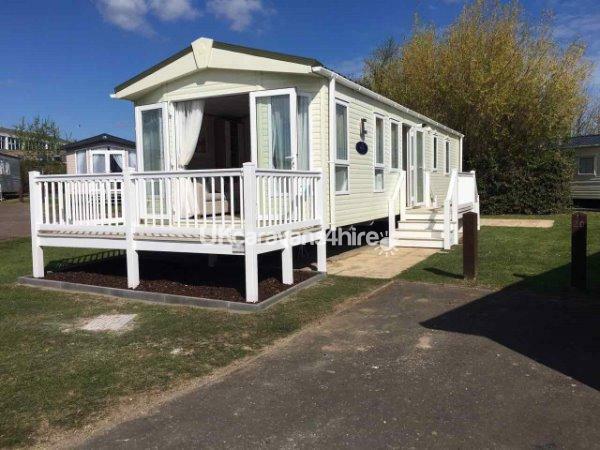 In order to use the parks facilities i.e: clubhouse, swimming pool etc you will need entertainments passes which we can now include with the price of the holiday home. We regret to inform you that smoking is not permitted nor are any kind of pets. If smoking or pets are found the damage deposit will not be returned in order to cover the cost of cleaning or replacing goods. Our booking days are: Mon-Fri, Mon-Mon, Fri- Mon or Fri- Fri. 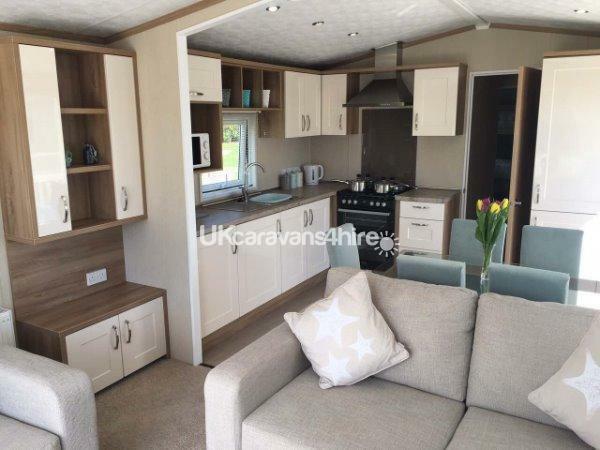 The caravan can be occupied from 1pm onwards and the caravan is to be vacated by 10am sharply to allow proper cleaning of the caravan before the next guest. 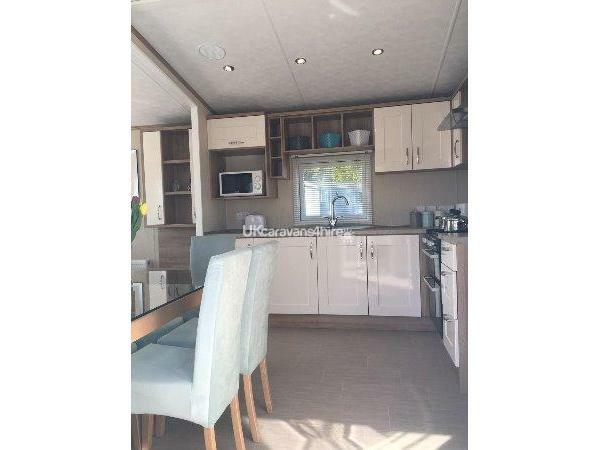 Amusement arcade, Crazy Golf, restaurant, Takeaway, Grocery shop, Launderette, Kids club, 3 lane multi slide, zip wire, motorised bikes, indoor play area, indoor play area, water walkers, direct beach access.